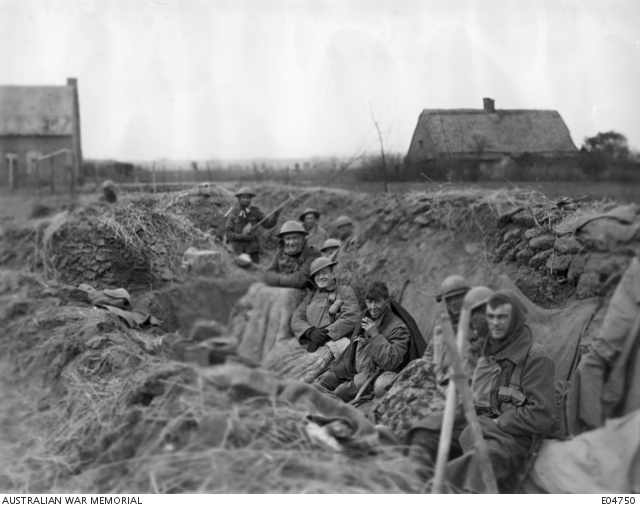 Members of the 1st Division in support trenches at Mologhein Farm near Strazeele Railway Station in Northern France, 18 April 1918. Mologhein Farm was the scene of sharp fighting and smart guerilla warfare by the Australians during this period. Image courtesy Australian War Memorial. This entry was posted on April 18th, 2018.